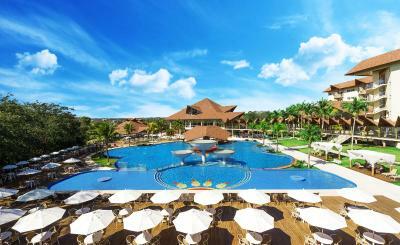 Lock in a great price for Recanto Cataratas - Thermas, Resort e Convention – rated 8.8 by recent guests! Swimming pool is very good. There is no chemical products in the water. Its natural! Nice pools, indoors and out. Delicious breakfast. Comfortable beds. After traveling from Salvador and Rio, a spacious room with a jacuzzi tub was glorious. we had a nice balcony overlooking the pool. the gym was great. dinner at the hotel restaurant was great. Fabulous cocktails. Very good buffet breakfasts and dinners with lots of options. Made the lack of onsite dining options more acceptable. Staff was excellent and very attentive. Breakfast variety. Booked a tour to the Argentinian side, all worked well. Massage was good. Staff in Restaurant very professional and welcoming. We were upgraded to a suite and we enjoyed the big bathtub with jet sprayer. Staff was friendly. The quality of the peoples attention was very good, I forget my medicines and the man from the from desk make the arrangements calling to the drug store and lest than 15 min. my pills arrive to the hotel, well done job !!!! Recanto Cataratas - Thermas, Resort e Convention This rating is a reflection of how the property compares to the industry standard when it comes to price, facilities and services available. It's based on a self-evaluation by the property. Use this rating to help choose your stay! 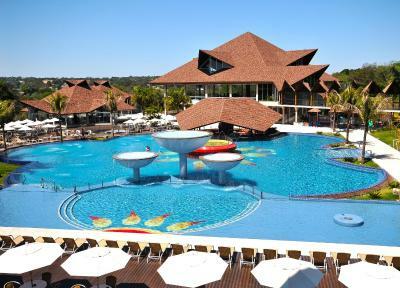 One of our top picks in Foz do Iguaçu.Recanto Cataratas Thermas Resort & Convention features a water park with thermal pools, a bowling alley and a nightclub, and includes free breakfast and free parking. Free WiFi is available in all areas. 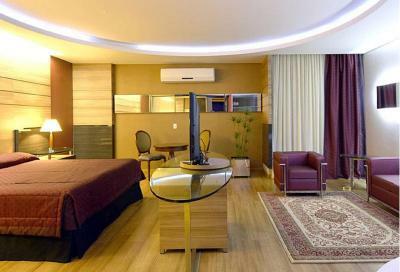 Rooms at Thermas Resort e Convention Recanto Cataratas include air conditioning, cable TV, a mini-bar and a desk. 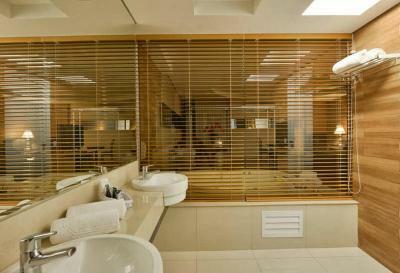 The private bathrooms include a hot shower, a hairdryer and free toiletries. 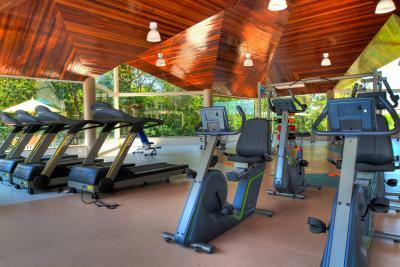 In between sightseeing tours to Foz do Iguaçu National Park, 19 mi away, guests can sunbathe in the thermal swimming pools or exercise in the modern fitness center at Recanto Cataratas while children can enjoy the contact with nature in the playground. 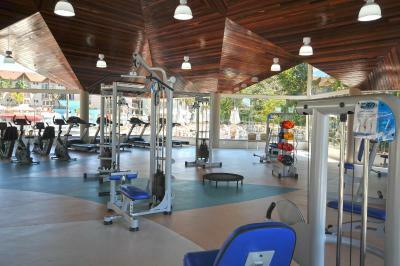 A games room, sports courts and entertainment staff for all ages are also available. An American bar and two restaurants offer regional, Brazilian and international specialties in cozy ambiances carefully fitted with modern amenities. Recanto Cataratas - Thermas, Resort e Convention is located 2.5 mi from Bosque Guarani Zoo and 5.6 mi from the Three Borders Landmark. 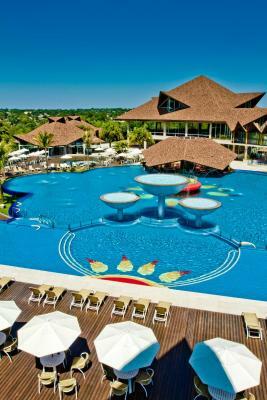 When would you like to stay at Recanto Cataratas - Thermas, Resort e Convention? 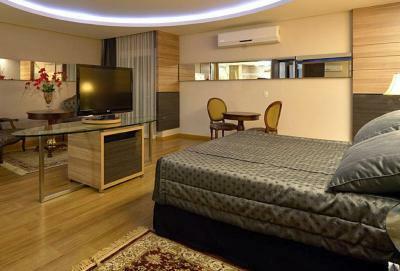 This air-conditioned room has cable TV, a minibar and a safe (for a fee). The bathroom includes a hairdryer. 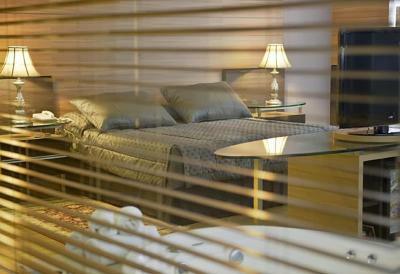 Guests must specify at the time of booking the desired type of bed (one double bed or 2 single beds). Guests must specify at the time of booking the desired type of bed (one double bed plus 1 single bed, or 3 single beds). This air-conditioned room has cable TV, minibar and a safe (available for a fee). The bathroom includes a hairdryer. Featuring pleasant views and additional space, this elegant suite has air conditioning and heating, an LCD TV with cable channels, a radio and a minibar. Some suites provide a scenic view of the pool. 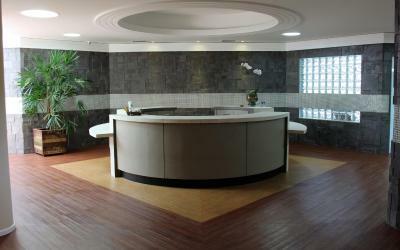 Featuring garden or pool views and additional space, this air-conditioned room offers cable TV, radio and minibar. 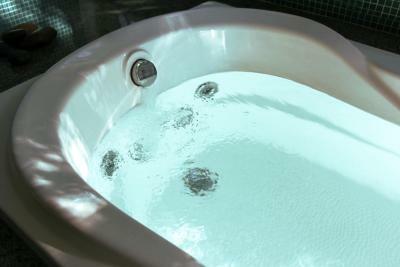 This larger suite is air-conditioned and features a sitting area, 42-inch LCD TV and spa tub. 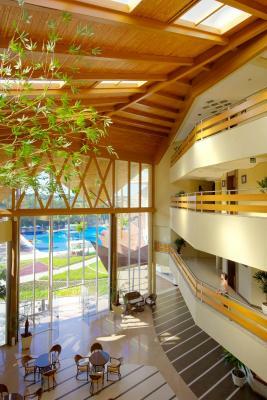 Recanto Cataratas Thermas Resort & Convention is located in an integration environment with nature, surrounded by native forest green. 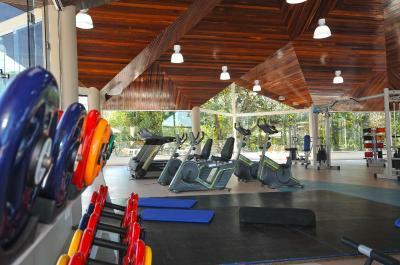 With an excellent structure for leisure and events! 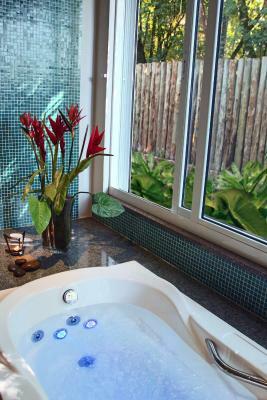 House Rules Recanto Cataratas - Thermas, Resort e Convention takes special requests – add in the next step! 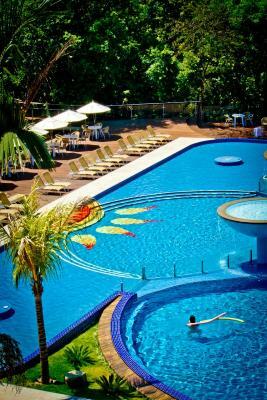 Recanto Cataratas - Thermas, Resort e Convention accepts these cards and reserves the right to temporarily hold an amount prior to arrival. 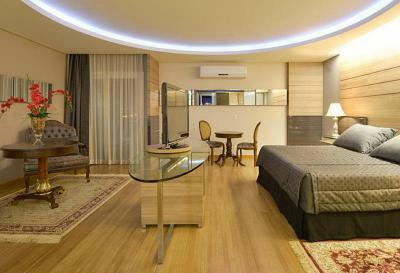 Brazilian credit card holders may pay up to 3 installments at the property. Please note this offer is not applicable to the deposit policy. 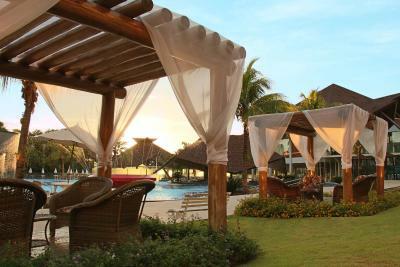 Guests must request it via special requests box during the booking process. Staff very helpful. Lots to keep growing family entertained. Peaceful, quiet and relaxing. Standard of evening meal - superb. Everything was great except the buffet food, which wasn’t that good. Great property with easy access, comfortable beds, and many amenities. The hotel is a little more distant from the main attractions (Cataratas and Parque das Aves) than other hotels (about 20 min drive). The credit card number that I registered in Booking to pay the hotel, I think was used for fraud attempts. 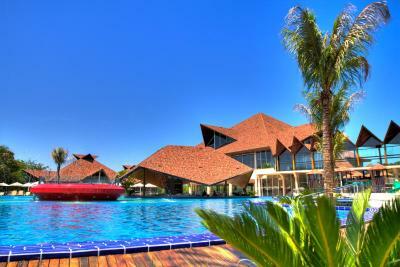 In the middle of Foz, spacious and great pools!!! The resort was run down. Plastic cups in the pool area were cracked and chipped, the towels were thin and threadbare. The hairdryer was useless. The bed configuration meant that one person had to sleep with a wall lamp right on top of their pillow allowing no head room. At the reception personnel can be more smiling and warmer, especially by Brazilian standards. Thermal water in the swimming pool. Very friendly place for children. Good food. 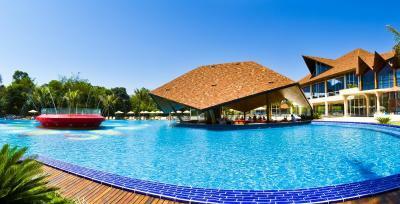 Pleasant swimming pool and bar. They charged my credit card on December 14,,reservation said that l pay upon arrival. This place looks great, sounds great, but the staff don’t listen, they don’t care, and they don’t deliver what they promise. I booked a massage, very clear what I wanted, they gave me the wrong package and they wanted more money when I told them they were wrong. I needed to do payroll for my company and I had zero wifi in my room. I booked the luxury suite and to not have any signal is not acceptable, I brought this to there attention at 5 pm I called them 15 times asking to switch to a room even lower class with signal they refused to do this. I got into a argument with the manager over this super unprofessional! Finally they woke me up at 1230’am offered me to switch rooms, I had a 6 am departure. This is the worst service I have ever experienced And I’ve travelled all over the world!! Booking.com won’t even acknowledge this properly. This is the last time I use there services.